Syed Balkhi used to get online at three o’clock in the morning to trade stones for a game called Neopets. When he was 12, his cousin pointed out that he could do the same thing with domain names – all while pulling in a handsome profit. Soon he was developing websites, designing them, and running a paid domain name directory. 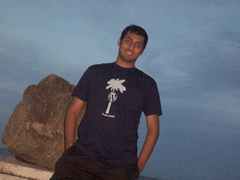 Originally from Pakistan, Syed is now 19 and attending the University of Florida in Gainesville, FL. Along with a handful of college friends (Amanda Roberts, David Pegg, and Mohammed Karim), Syed has started a successful web service company called Uzzz Productions. 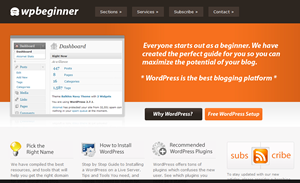 His blog for WordPress beginners, WPBeginner, has been up since July 2009 and already attracts an incredible 145,000 unique visitors each month. Maybe it’s genetic: Syed’s six-year-old brother is running a successful blog of his own with Syed’s help. Entrepreneurship has really opened a lot of doors for me. To give you a personal example, I got a traffic citation. I knew a lawyer who was my client. So I didn’t have to find a lawyer to fight my ticket. Same with my finance guy and my insurance guy. I get the best discounts you can get on my travelling, on my car insurance – on everything. If I was working as an employee, I would not even know how my boss was making money. Now I see a bigger picture. Another thing is that I get a lot of technology before everyone else because all of these companies get it as a gift for me. Mountain Dew sent me a Flip camera and eight never tasted Mountain Dew flavors. I helped decide which flavor should be on the shelf. That was a great opportunity and that I owe to entrepreneurship and social media. I was really happy. I love Mountain Dew. Q: What would you tell a young entrepreneur who is just getting started with social media? A: Use social media as a communication tool rather than a marketing tool. When you are using Twitter, don’t set auto-tweets every time you publish a blog post. If you had a customer on a call, you wouldn’t tell him, “Hey – I don’t have time for you. Bye.” That’s how I see social media: if I have 4,500 followers, that’s like 4,500 clients for me. I don’t want to treat them with disrespect. So, I actually spend the 30 seconds that it takes me to write a clean title, show them my URL, and tweet that [instead of auto-tweeting]. Second, a lot of people try to get on Digg’s front page. But Digg can do nothing for your Search Engine Optimization. Stop submitting your own articles, because that’s not the way to go. It’s meant to be shared. No matter how good of an author you are, not all of your articles deserve to be on Digg. Keep your promotion for only the best articles. You’re building a brand – and when you have a brand people just talk about you. That is what you really want. Don’t go after the quantity, go after the quality. People are following 120,000 people to get 120,001 followers. But because you don’t have a real connection with those 120,001 people, it’s not going to do you any good. I would rather have 200 converted followers who, when I send them a message, they go and do it. A: I think we talked about pretty much everything. I want to give a shout-out to WPBeginner. If anyone is starting to blog and wants to learn the technical aspects, they shouldn’t pay someone $400 to take a mini-course. Everything you need is free on the site, so go check it out. We also set up WordPress blogs for anyone who signs up for one of our hosting services. You would be paying for the hosting services anyway, so you might as well go through us and we’ll set up the site for you.